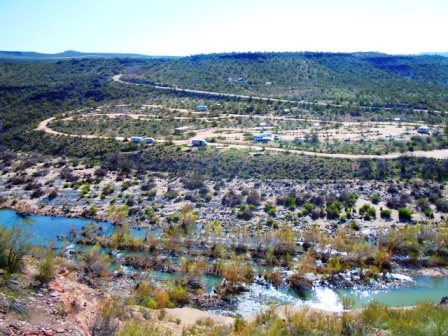 These are the NW Arizona Campsites we've occupied in our RV Boondocking Travels. I've arbitrarily marked off the NW quarter of Arizona as being that West of Page/Flagstaff/I-17 and North of Alamo Lake/Cordes Junction. Road Surface Hwy 89 is paved. Forest roads are unimproved Dirt. Cell Signal3G 1-4 bars... not a lot of bandwidth, downloads were slow but reliable with my Wilson Amplifier. Directions: Go south from Ash Fork/I-40 on HWY 89, approximately 7 miles to MP 356.8 (just south of MP357) to Forest road #35. It is a cattle guard on the left/East side of the road. Slow down and be prepared for it... if you watch the MP markers you'll be ready. We camped approximately 1/4 mile in... there are places before... and many farther in. Season/Month I Observed November 2010 and March 2011 Weather I experienced Varied. Storms passed through between brigh warm days. 50's in that earlywinter... several days over 70 in March. Ash Fork and Williams to the N. Paulden/Chino Valley to the S.
Williams to N. Chino Valley to S.
1. Lot's of Deer/Elk Hunters in the fall. 2. 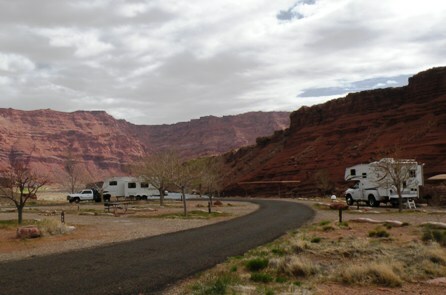 An excellent Location for Daytrips to Grand Canyon, Sedona etc. 3. Nice hiking straight out of camp. Directions: 17 miles East from Kingman on I-40 then 53 miles South on U.S. Hwy 93 -or- 60 miles Northwest of Wickenburg on U.S. Hwy 93. 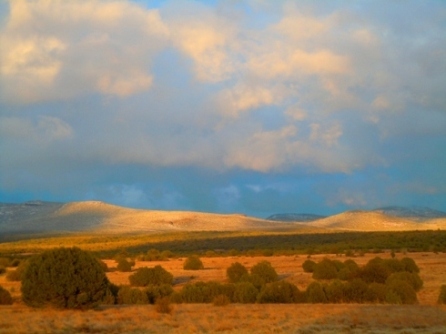 The Signed Turnoff is 1 mile South of the Burro Creek Bridge. Go 1 1/2 miles on the access road after your turnoff to the Campground. How We Found this Camp Located it on The BLM website and also AAA Road map. Weather I experienced It was getting HOT :) You might not want to stay there long in the summer! Wickenburg or Kingman is all I'd count on. 1. We enjoyed our stay. Remained two nights, but my need for online connection kept us moving... so we hooked up around to the Ash Fork camp we used for two weeks. 3. Sites are spacious and nice desert hillside. Type of Camp: Improved Fee Campground Fee $12 1-7 Day Vehicle Pass - $15 or *All National Park Passes, Golden Eagle, Golden Eagle Hologram, Golden Access and Golden Age Passports will continue to be honored according to the provisions of the pass. Directions: From Flagstaff, take I-40 east to Hwy 89 (Grand Canyon-Page Exit). Travel 110 miles north on HWY 89 to the turnoff to the Grand Canyon North Rim, Hwy 89A. Turn left on Hwy 89A and travel for 15 miles to the Glen Canyon/Lee's Ferry Recreation Area entrance just past the bridge over the Colorado River. Turn right at the entrance and travel 5 miles to the campground. How We Found this Camp Marked on a AAA road map. Weather I experienced It was getting warm :) another that will be WARM in the summer!